We’ve got lots to report on Lewis. October saw him compete in a double race and in the first one with only two minutes to go to the finish, Lewis lost out on his first podium finish and ended in 4th place. That didn’t stop him! 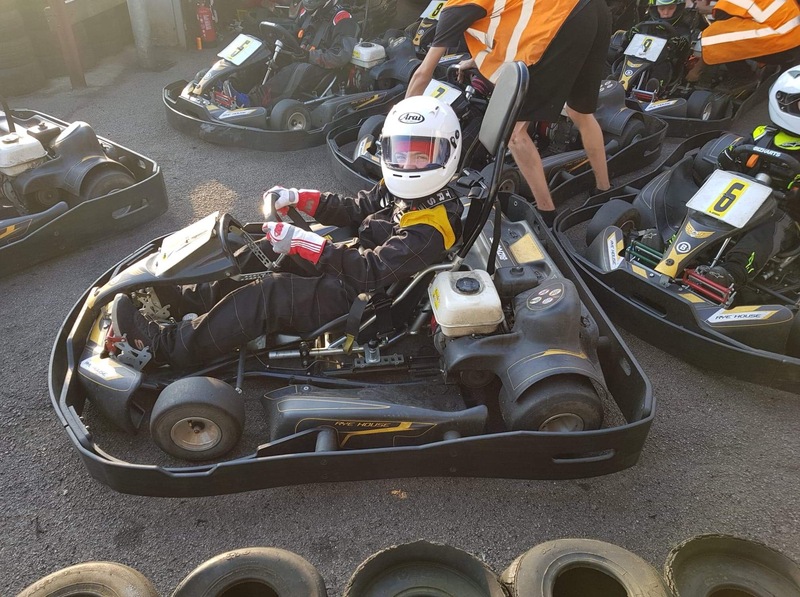 His mum takes up the story ” even with feeling tired and bruised he went into the next race and I’m excited to say he got his first time on the podium, finishing 3rd! We are all so pleased for him, and what a way to end his first ever championship.” The last remaining championship is 2018 is in November. Lewis also recently completed a development race, and made 1st place. His family say that the DRF has given Lewis such a fantastic opportunity to fulfil a dream and he is very grateful for that. Exciting times not only for Lewis but for all of us watching and supporting him!